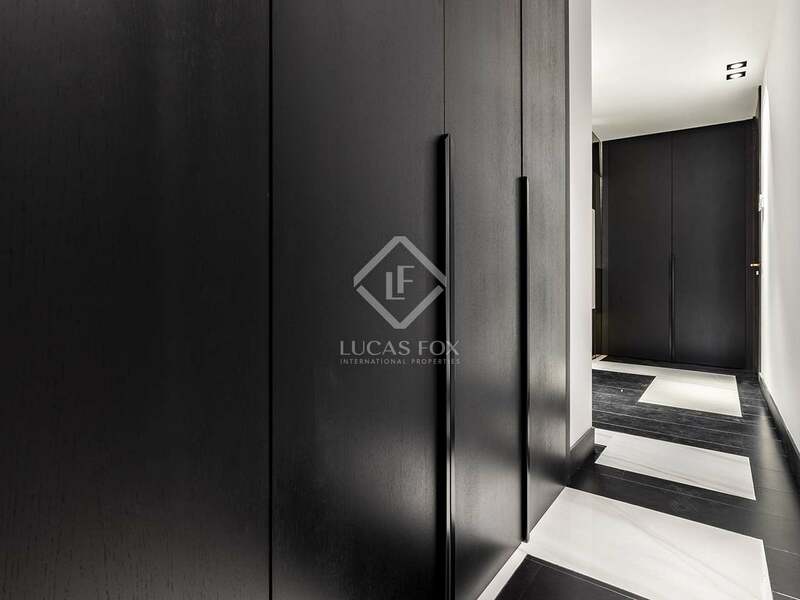 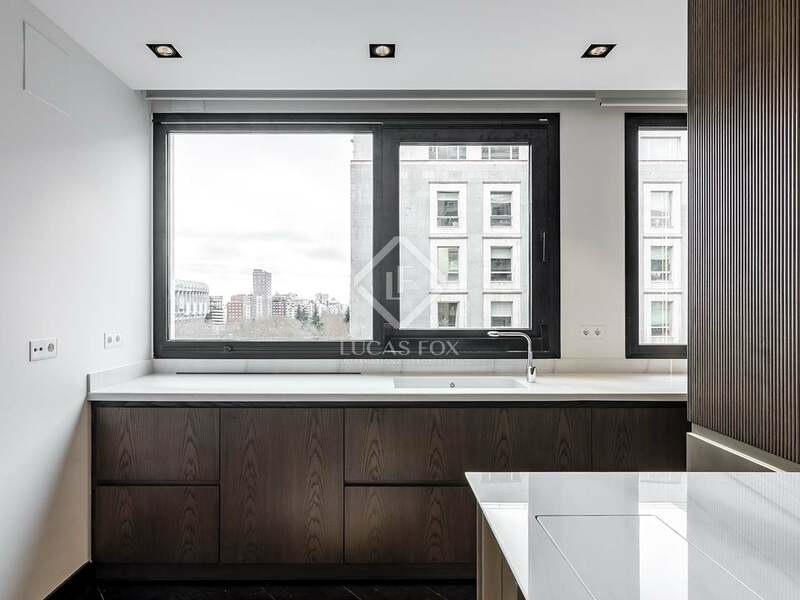 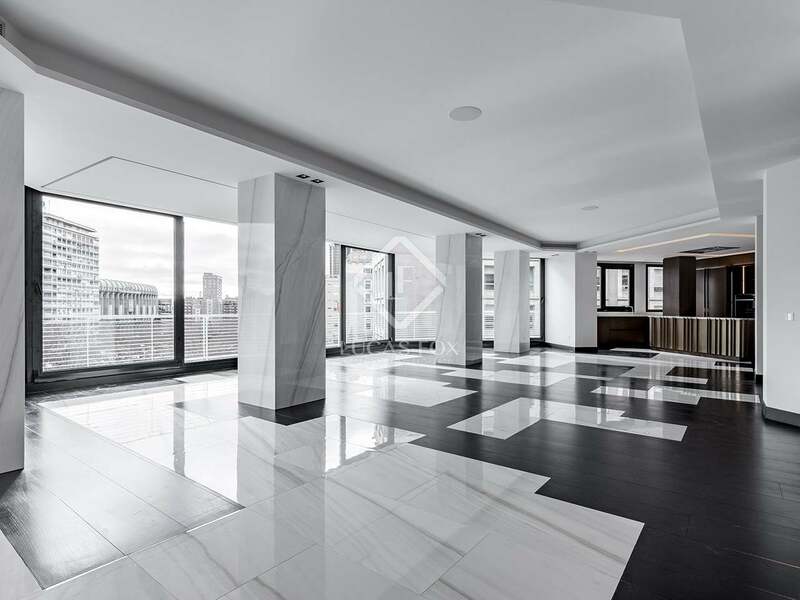 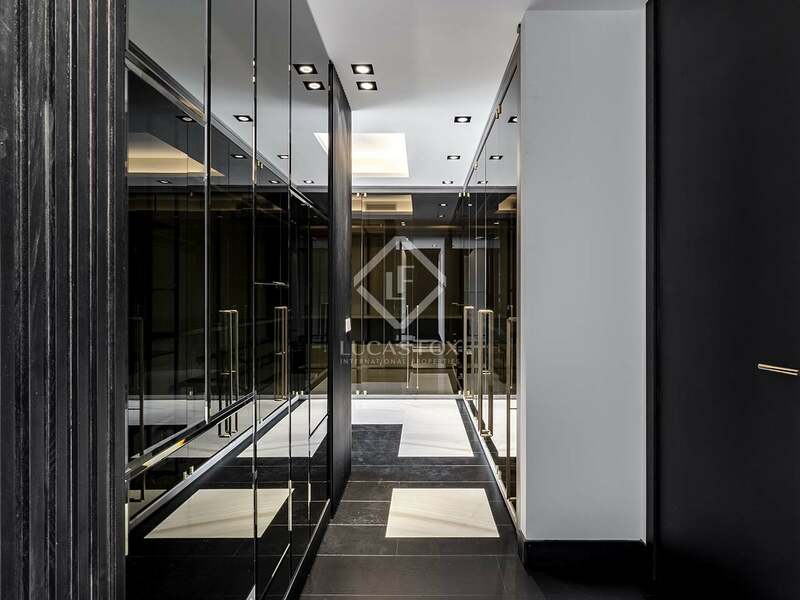 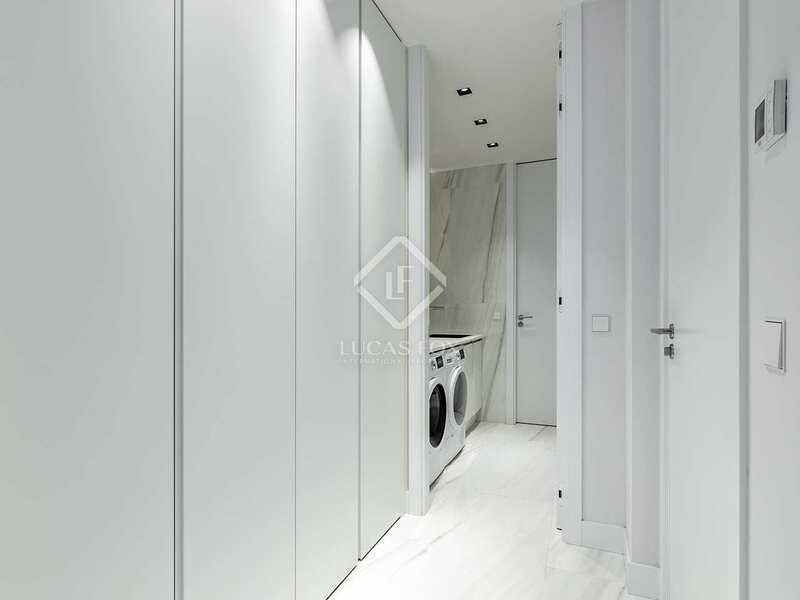 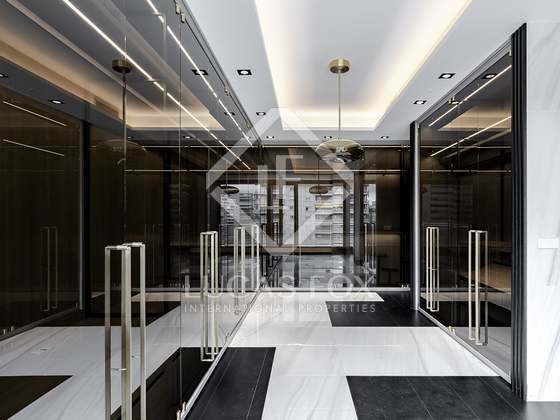 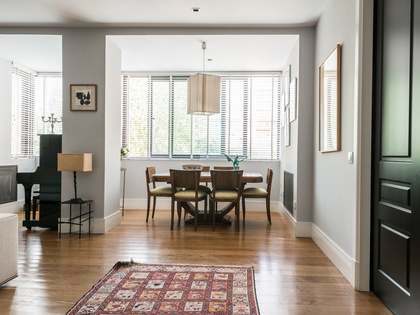 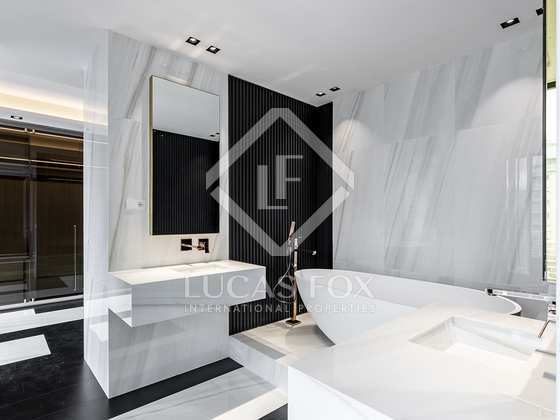 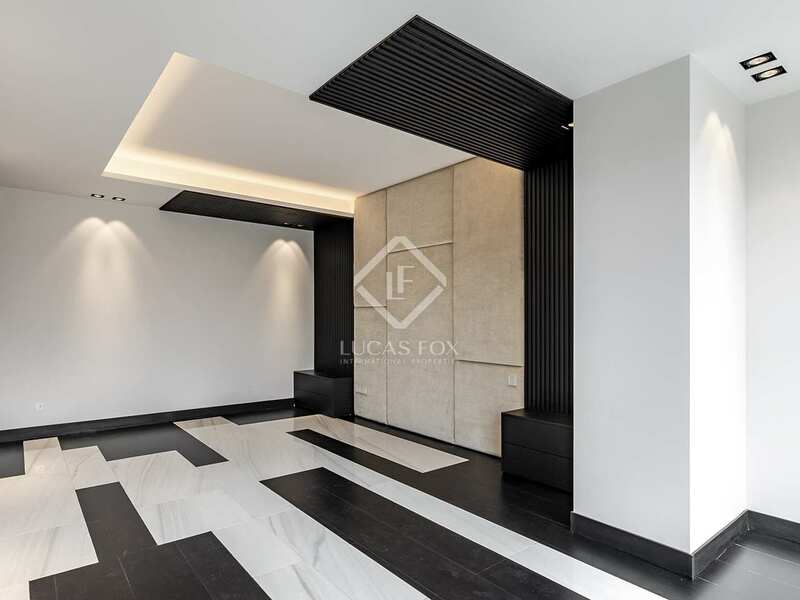 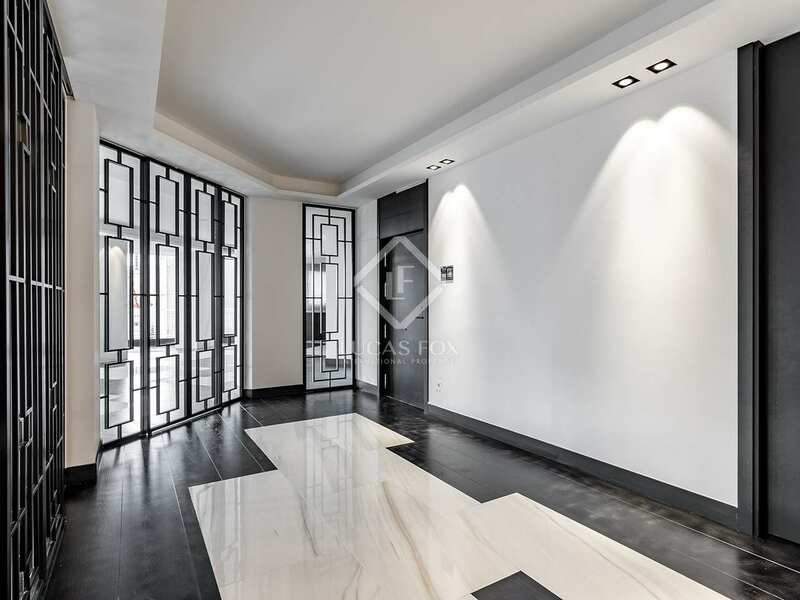 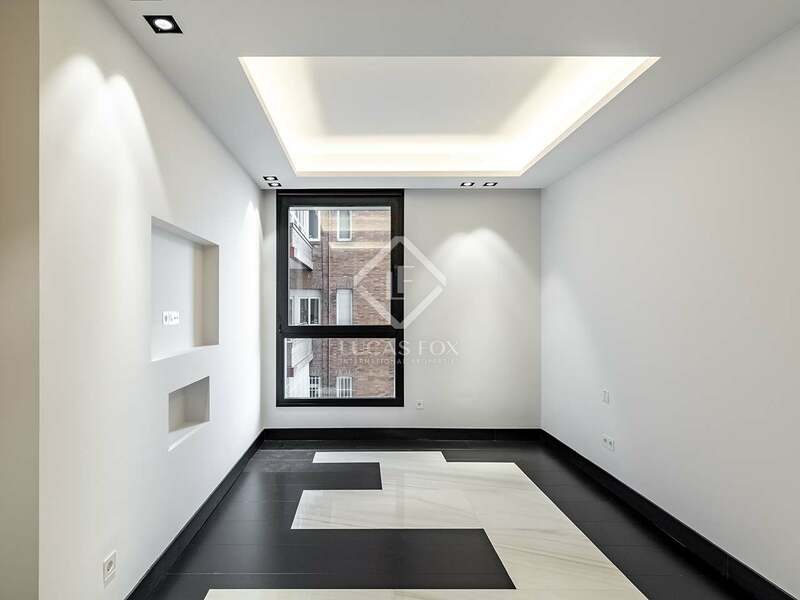 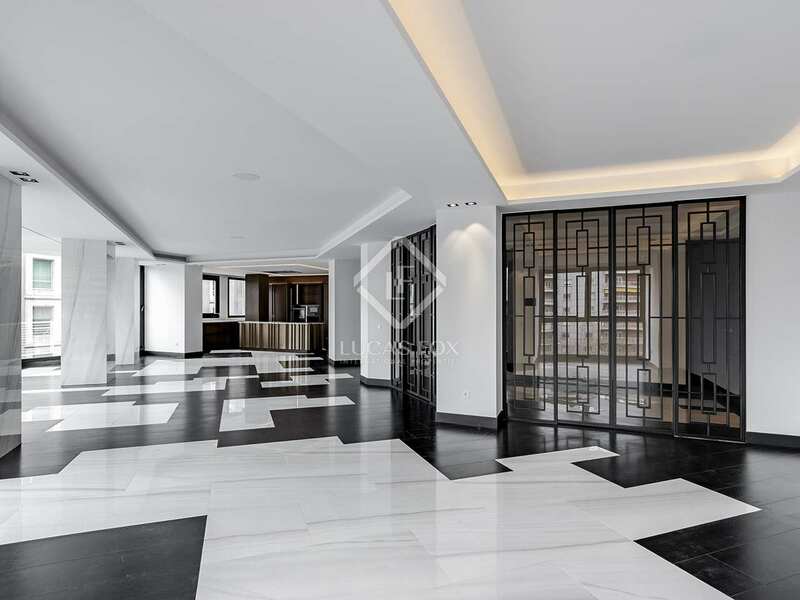 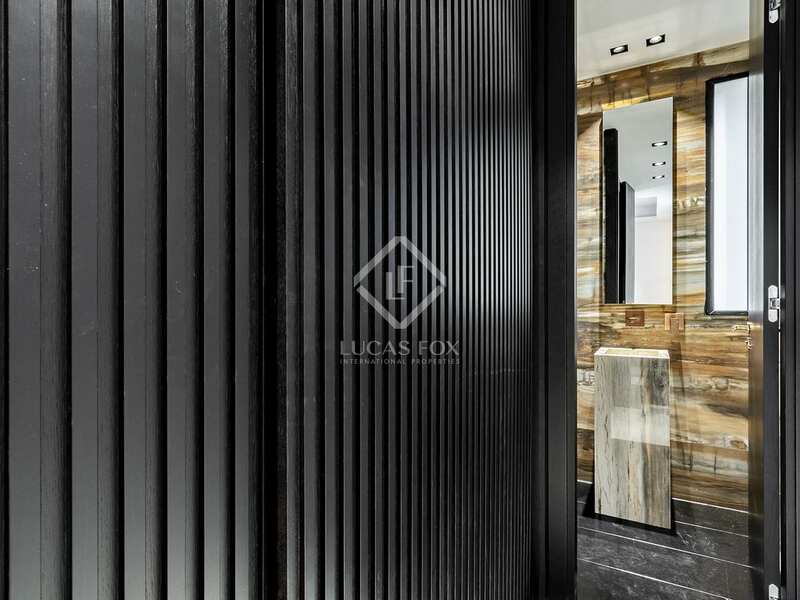 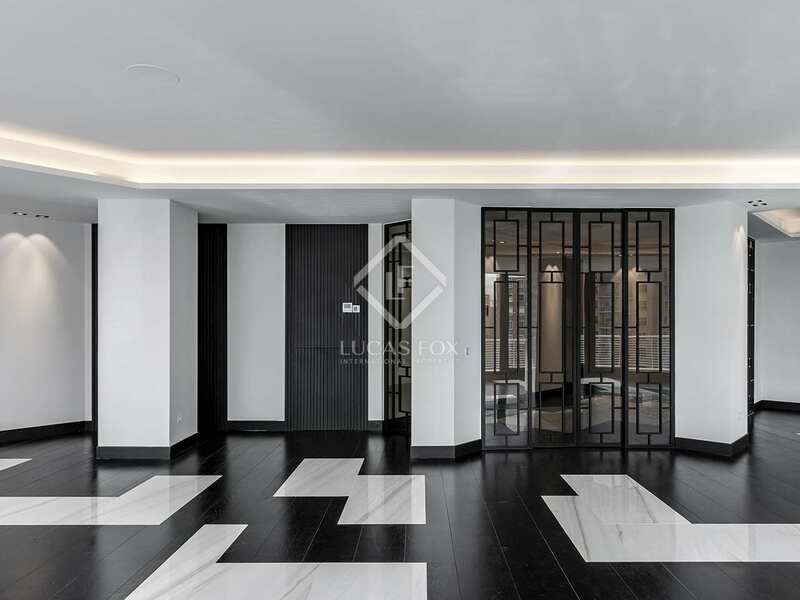 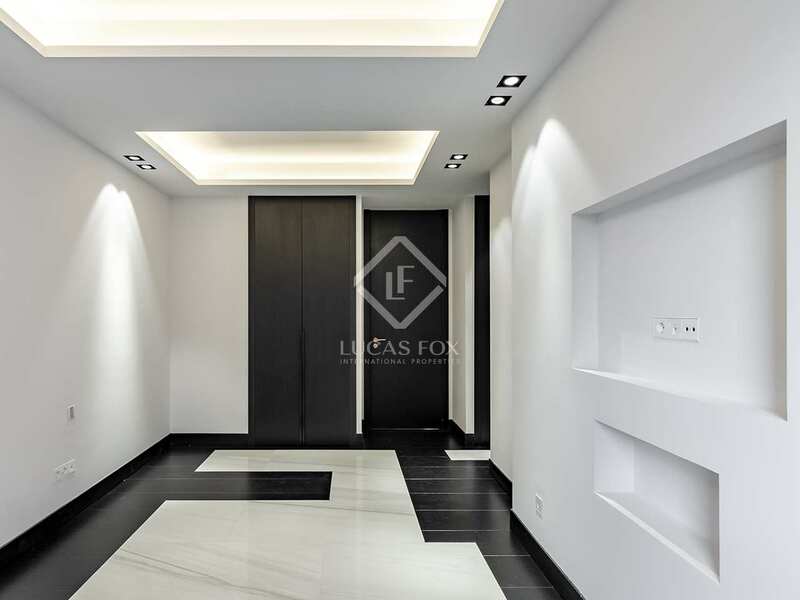 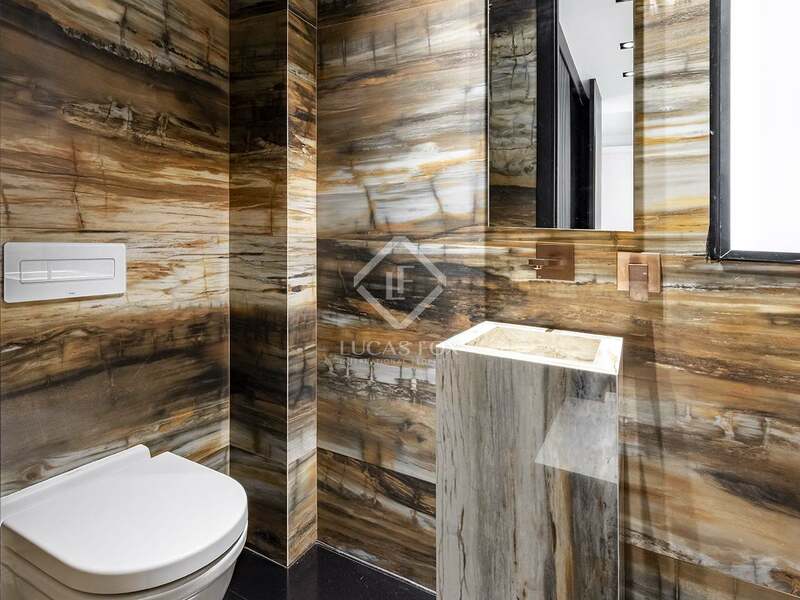 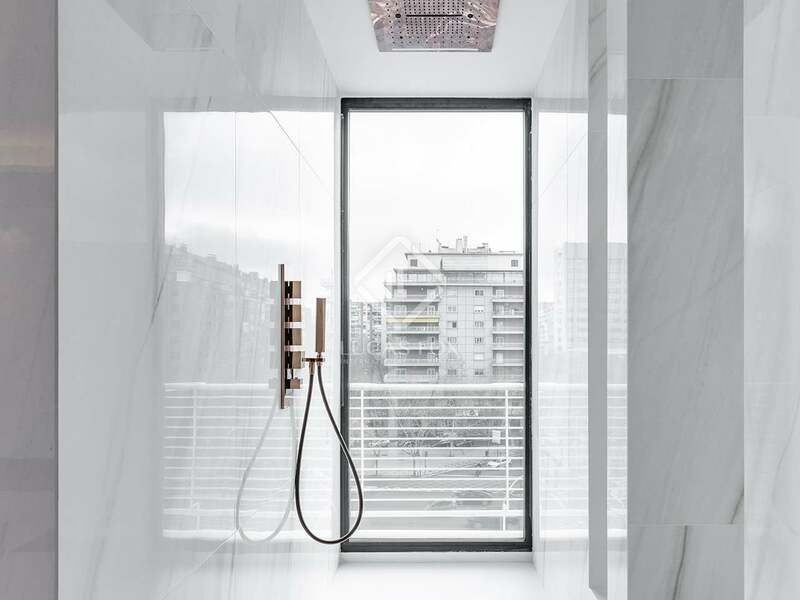 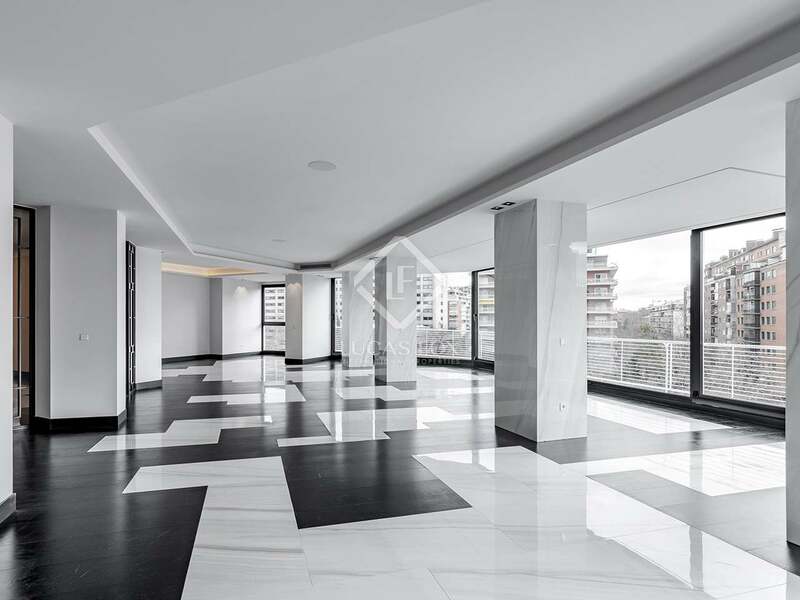 This exceptional apartment has been designed and renovated using the best materials and offers unbeatable views of Paseo de la Castellana. 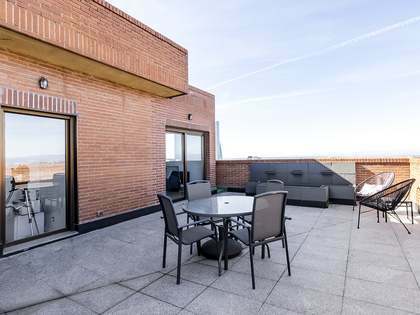 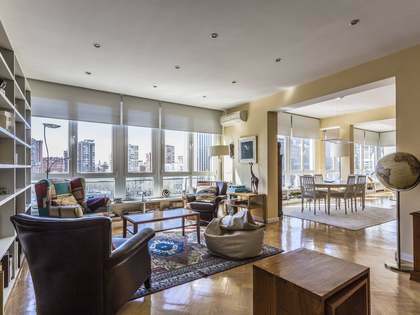 The property is all exterior with large floor-to-ceiling windows that flood the rooms with permanent natural light and embrace the incredible views. 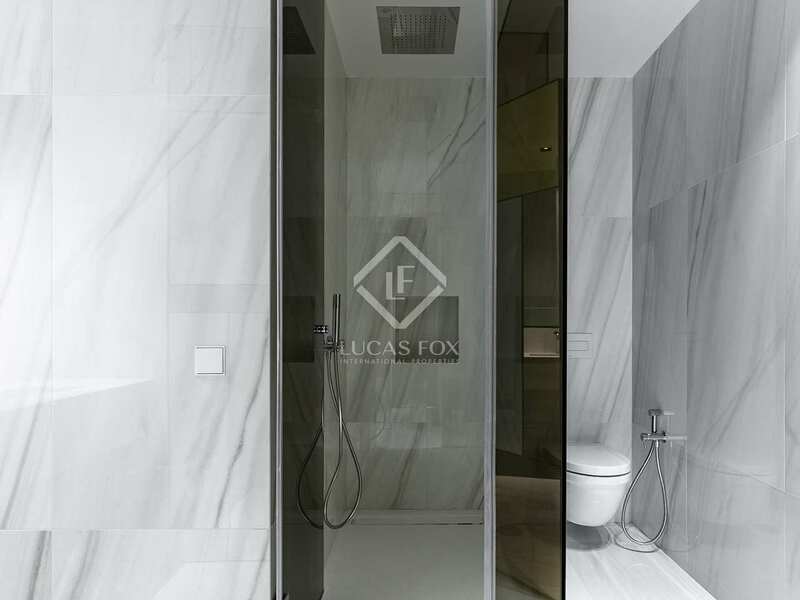 The entire apartment has underfloor heating with CC compact plate heat exchanger, antioxygen barrier and room-by-room regulation. 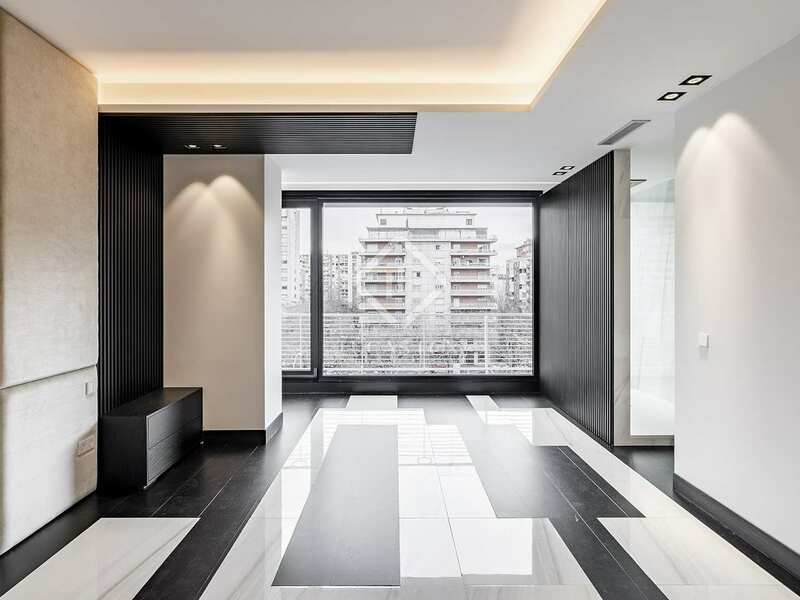 Integral hot and cold air conditioning, controlled via individual thermostats and the home automation system, ensures maximum comfort in summer and winter. 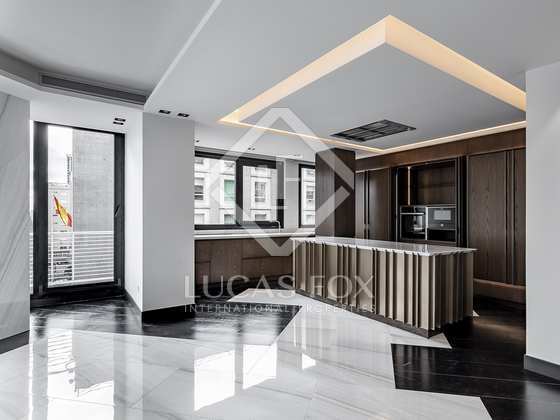 The fully equipped kitchen has a hood recessed into the ceiling, induction hob, integrated fridge and dishwasher, and is also controlled by the home automation system. 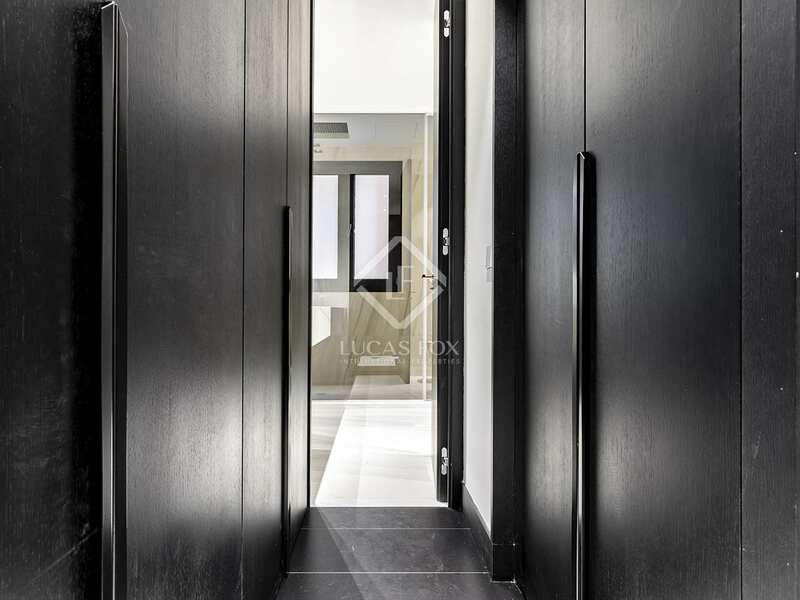 There are 3 large bedrooms with fitted wardrobes with internal lighting and ensuite bathrooms. 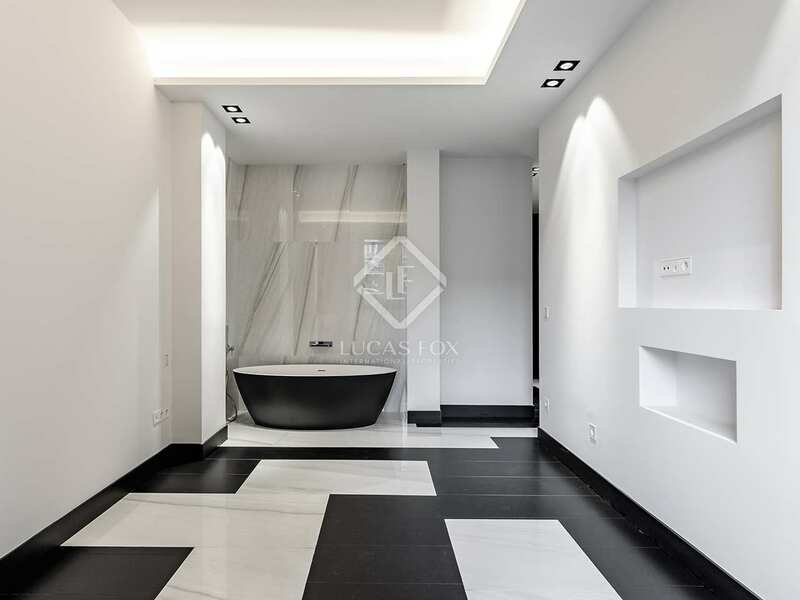 The spacious 70m² master bedroom has a spectacular ensuite bathroom with a feature shower that includes a thermostat and ceiling shower head with chromotherapy, rain cascade and nebulizer. 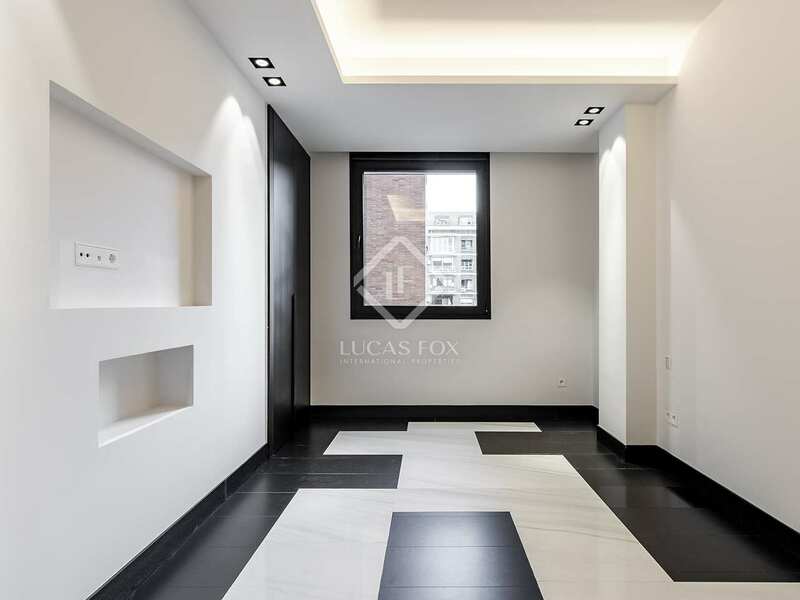 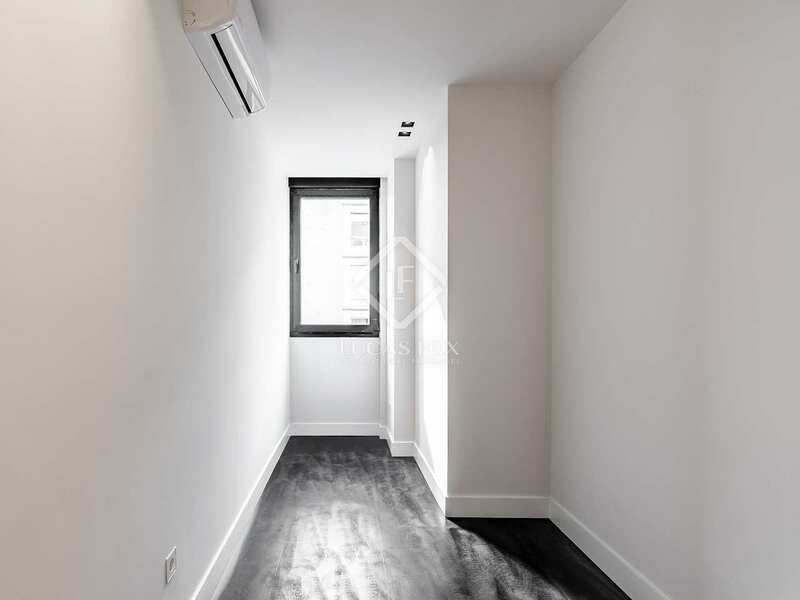 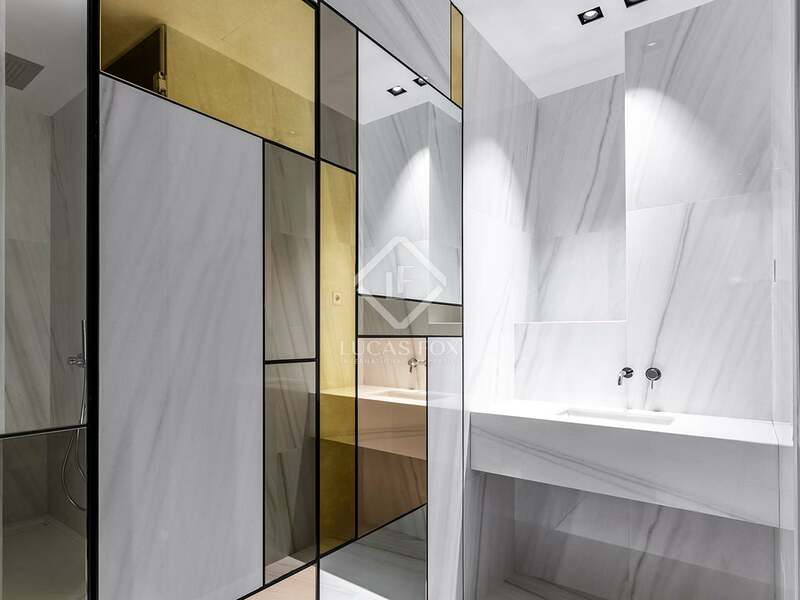 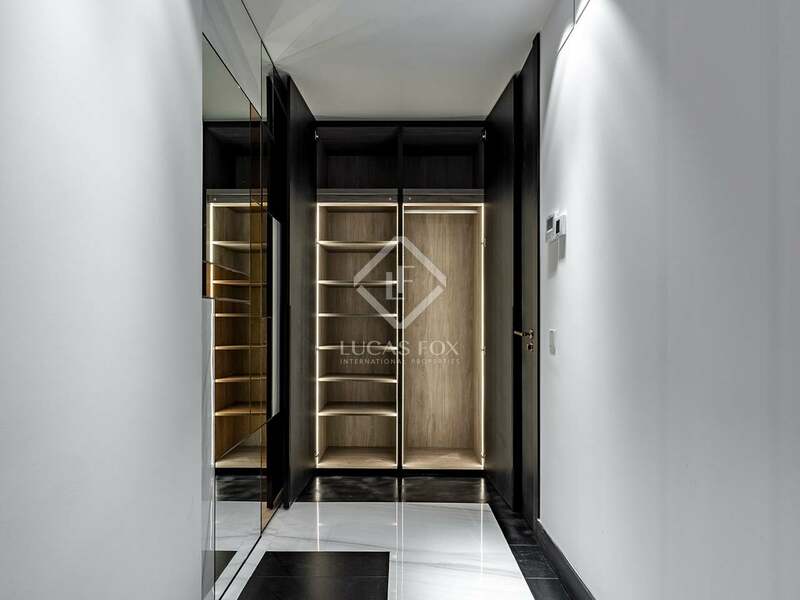 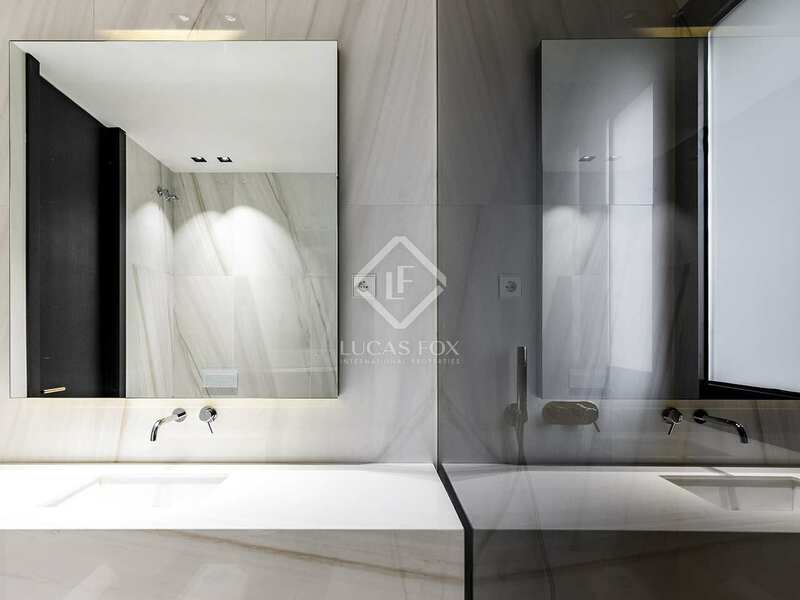 It also has a large dressing room with wardrobes with bronzed glass doors and perimeter lighting, and views over the Paseo de la Castellana. 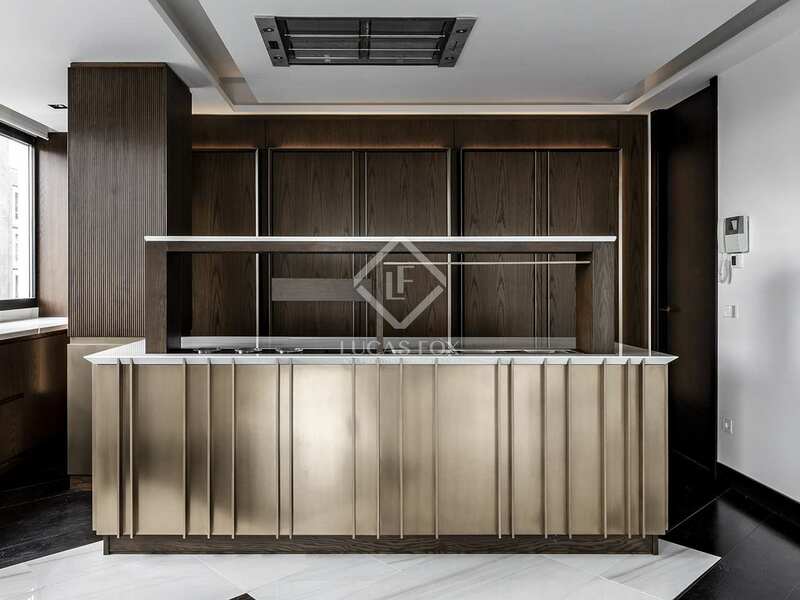 The open-plan living area takes in the magnificent views and includes a large double room area and dining area with marble and wood floors that are integrated into the artistic design, plus an open kitchen that creates an enhanced gastromomic experience. 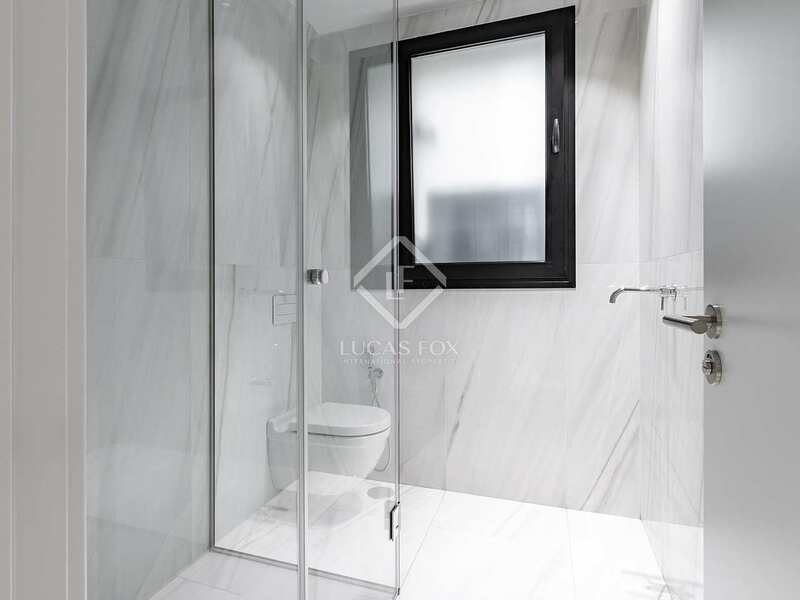 There is also a guest toilet and a separate service area with a bedroom, bathroom and laundry area, all using the same first class materials. 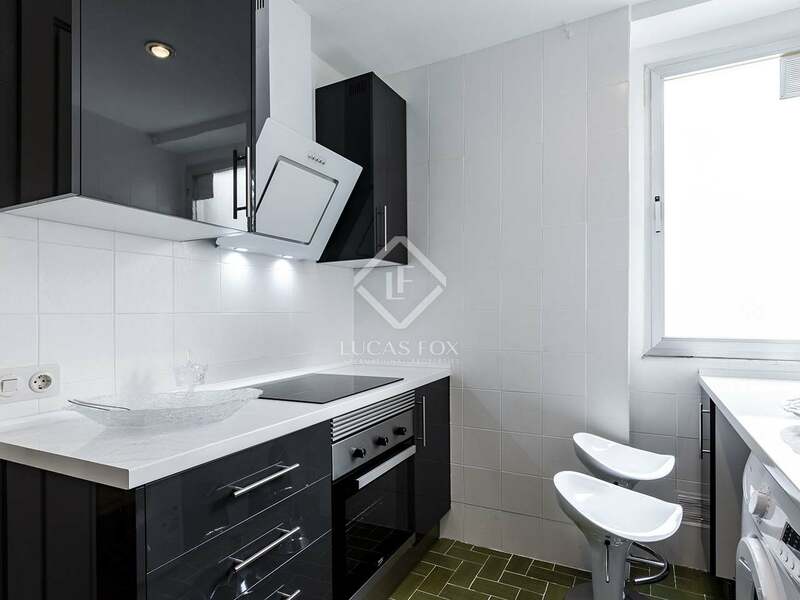 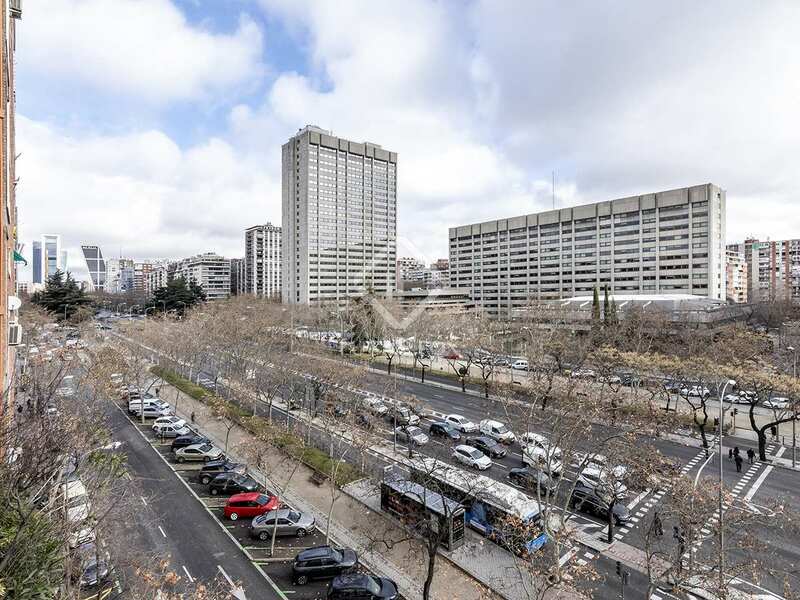 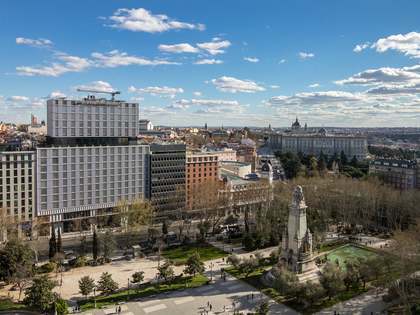 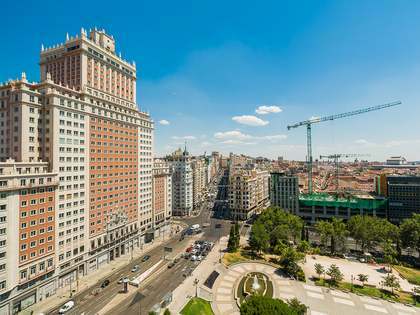 The apartment is on Paseo de la Castellana, next to the Ministry of Defence. 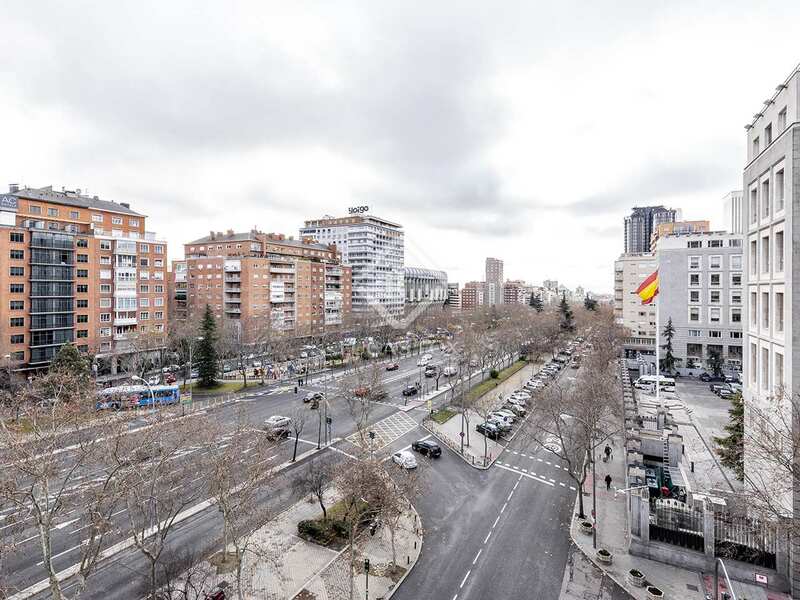 It is just a 15-minute drive to the airport.